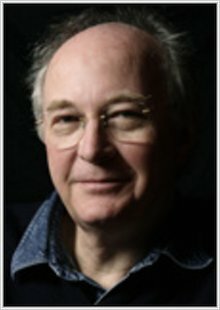 Philip Pullman is the author of The Golden Compass, the Hollywood smash hit film starring Nicole Kidman and Daniel Craig. Before conquering Hollywood, the book – originally published as Northern Lights – sold several million copies and won just about every major children’s book prize going. Philip travelled all round the world as a boy, devouring comic books and idolising his heroes Batman and Superman. When he grew up he became a teacher in Oxford and started to write books in a shed at the bottom of his garden. Even though The Golden Compass has stirred up controversy, he says that if it suddenly became against the law to write stories, he would break the law without a second’s hesitation. He says, “Stories are the most important thing in the world. Without stories, we wouldn’t be human beings at all.” When Philip isn’t writing, he likes to play the piano (badly), draw and make things out of wood. Philip Pullman talks about 10 years of Northern Lights.